Please click here for a full Tour Date list! Bobby with his good friend Jimmy Fallon! Bobby reveals more than his laser wit for the first time. He lays out the wisdom he’s been sharing with friends and family for years. 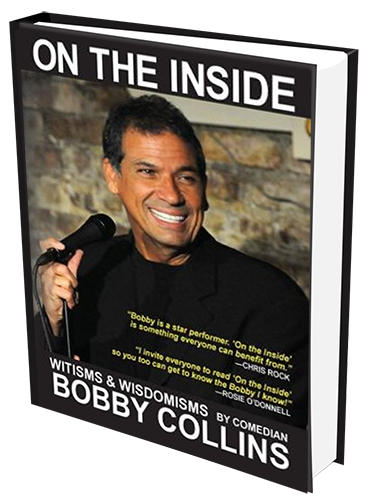 So join Bobby ON THE INSIDE his mind, beliefs, family and career as he leads you on a wild ride that will entertain you and hopefully help you develop a positive outlook on your journey. Buy Bobby’s Hilarious Book!Have him sign it for you!